Structural steel is steel construction material, a profile, formed with a specific shape or cross section and certain standards of chemical composition and mechanical properties. Structural steel shape, size, composition, strength, storage, etc., is regulated in most industrialized countries. 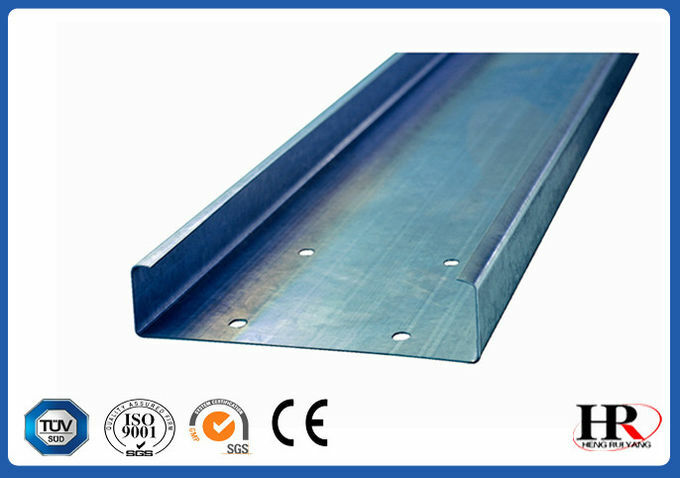 Structural steel members, such as I-beams, have high second moments of area, which allow them to be very stiff in respect to their cross-sectional area. 1. 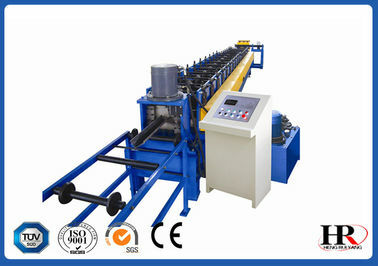 As a part of C purlin roll forming machine, pressing arm unwinding machine can prevent the loss of the coil. 2. Equipped with a reasonable straightening device, the machine can ensure the finished channels without twisting or sideways bending. 3. The shovel head device of this channel forming machinery will help to send coil sheets into the straightening device. 4. The machine is controlled automatically so that there will not be any safety problem. 5. We have designed a non-stop shearing device for improving the working performance of the machine. 6. We can design punching as per customer's requirement although it is not shown on this layout drawing.